1 in 5 women will develop fibroids in their lifetime. Fibroids are noncancerous growths in the wall of the uterus that can cause heavy bleeding, painful periods, prolonged menstruation, back pain, and much more. Fibroids are most common in women in their 30s, particularly African American women, as well as those with a relative (i.e. mom, aunt, sister) who also has fibroids. The one factor in whether you become or already are that one in five is your diet and this factor you can change today. 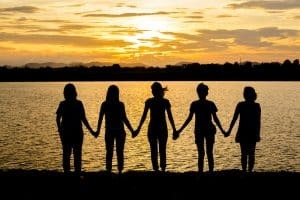 Fibroid growth is connected to hormonal balance, specifically the problem of estrogen dominance – this is why women who experience fibroids often find they shrink or disappear post-menopause when estrogen levels are lower. By changing what you eat you have the power to change your hormone balance and reverse an internal ecosystem currently functioning with estrogen overload. This very common health issue is usually resolved with a prescription of the birth control pill or hysterectomy. 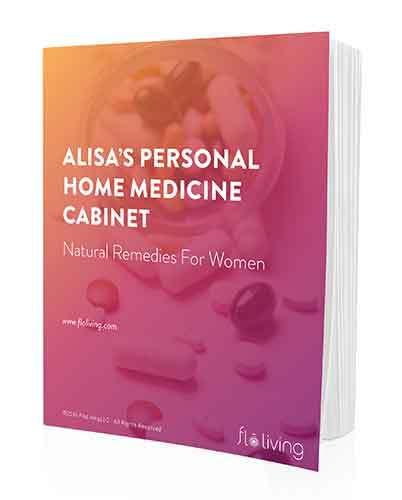 However, the birth control may manage symptoms, it will not prevent fibroids from returning once you decide to go off, and Post Pill Syndrome can bring about worsened estrogen dominance, not to mention the myriad side effects of synthetic hormone replacement. Hysterectomy also has side effects, short and long term, for women’s health and can lead to heightened risk of the top cause of premature death for women – cardiovascular disease. To have an impact on fibroid growth, shrink fibroids, or prevent fibroids in your future you need to focus on supporting your body is processing, eliminating, and detoxing from excess estrogen. You can do this by supporting your liver function, boosting gut health, and decreasing inflammation in the body. The first step is to remove those food that trigger fibroid growth and symptoms. The next step is to fold into your daily diet the right foods and supplements that will allow your hormones to rebalance and stay in harmony. 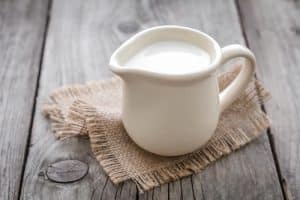 Dairy – much regular dairy is full of the artificial hormones including synthetic estrogen, given to dairy cows to make them grow and produce unnatural amounts of milk, which will add to your high-estrogen environment. The antibiotics in regular dairy also has a destructive effect on your microbiome, which is essential for estrogen metabolism. Dairy is also an inflammatory food leading to increase in symptoms with fibroids. Plus most cows in the US are fed with soy, a estrogenic food. A pillar of the FLO Living protocol is removing dairy from your diet and detoxing. The much safer choice if you must have dairy is organic goats’ or sheeps’ milk, cheese, and yogurts as these do not containing the problematic A1 casein. Processed red meat – processed red meat from factory farmed cows, injected with antibiotics and fed with soy, is another food type to avoid if you have fibroids. The one study that found consumption of processed meat increased the likelihood of fibroid growth, also showed that a high intake of fruits and vegetables can have the opposite effect. The FLO Living protocol recommends small amounts of red meat eaten during certain hormonally-specific times in your menstrual cycle, allowing for a varied diet and a controlled enjoyment of red meat, always organic and grass-fed. 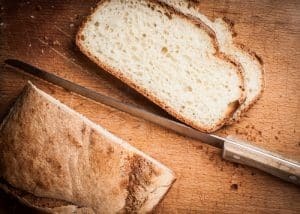 White bread, pasta, potatoes – eating refined carbohydrates is no different to eating piles of sugar, both increase insulin causing blood sugar imbalance which is a primary factor behind imbalance hormones. On top of that, gluten is inflammatory and messes with the delicate balance of the microbiome where much of your estrogen is metabolized and processed. The FLO Living protocol is primarily gluten free and instead holds a range of whole grains as the replacement. Wheat crops are treated with the pesticide glyphosate (a hormone disrupter and estrogenic in the body) to such a high degree that it’s hard in the US to find a crop that hasn’t been contaminated. From my experience, most women who are experiencing hormonal health issues are also gluten-sensitive. 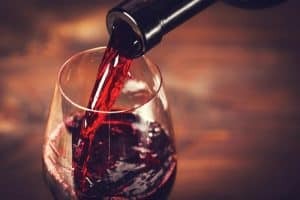 Caffeine + alcohol – over-consumption of coffee and alcohol, which for women means just 2 cups of coffee or 2 high caffeine drinks a day or a glass of wine every night, can overload and strain the function of your liver, hampering it in its ability to process and eliminate excess estrogen. The liver plays a vital role in hormone balancing and when it’s busy getting rid of coffee and alcohol, it cannot play its part to the fullest effect. Just a couple of glasses of wine significantly raises your estrogen levels. Coffee suppresses ovulation, thereby suppressing production of progesterone and producing an estrogen dominated hormone imbalance. If you have fibroids, remember treatment with the pill is not your best or only solution. Join the thousands of women who have addressed the root causes of their fibroids naturally with the MonthlyFLO program and get your uterus back! This is one of the best articles I’ve read in a long time. Tons of useful information, and super clear advice. Thanks for your hard work, and sharing this important wisdom!! What about breast fibroids? Same foods? Does decaf also fall into this category? Studies show that many women with fibroids have normal estrogen levels. Also, progesterone has been implicated in fibroids as well as growth factors. The “estrogen dominant” theory is just that – a theory that hasn’t been proven. This is filled with helpful informations. Very very helpful. I need help. I have fibroids.please I need help. Thank you. What about eating soy? It’s bad for the cows, etc to eat the soy and then you eat the cow, but it isn’t bad for you to eat tofu? You should stick with eating fermented soy products only. I would leave tofu out.